Amanda Doherty (Florida State), pictured, won "The Sally" - South Atlantic Ladies Amateur Championship by three strokes with a level par, 72- hole aggregate of 288. Alexa Pano (PGA National) finished second on 291 - six strokes ahead of the third placed Laura Van Respaille (University of Maryland) (297). 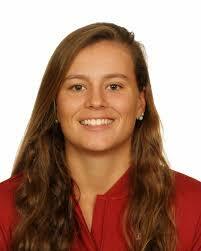 England's India Clyburn (North Carolina State University) finished T9 on 304 after a final round of 79. Clara Young (University of Missouri), winner of the Scottish women's amateur title at Monifieth in 2015, finished with a 75 for 15th place on 206. Clara saved her best for the last nine holes of the tournament which she covered in one-under-par 35. LINK TO FINAL ROUND SCORES AT "THE SALLY"